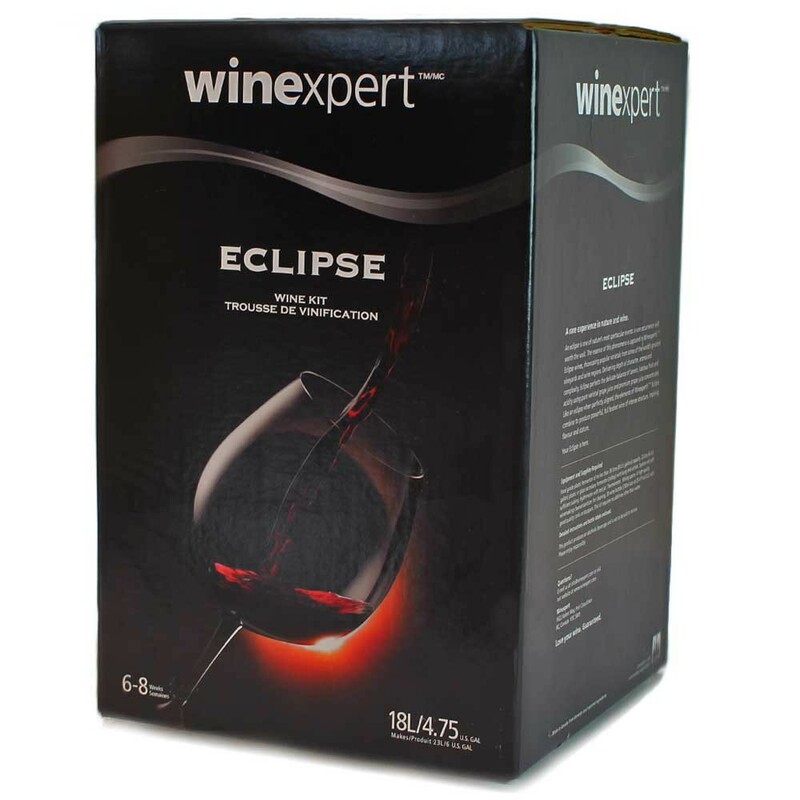 Eclipse ultra premium wine kits are made with the finest quality varietal juice from around the world to produce wines that will satisfy the tastes of even the most discerning wine enthusiasts. Eclipse Lodi Ranch 11 Cabernet Sauvignon. Oak and tannins, pepper and spice combine to enhance trademark blackcurrant and cherry flavors. Rich fruit and complex structure dazzle from first aroma to long, refined finish. AI am a big fan of the Winexpert Eclipse series. They come with labels for your bottles and offer a wine that can only be equaled by a $20 + bottle at the store. Lately, for every gift giving occasion my family and friends want me to give them bottles of wine and home brewed beer.